Eminem looks completely different - check it out! 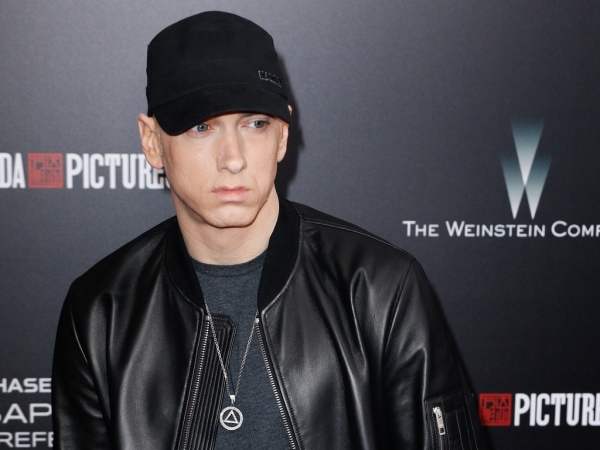 Slim Shady's sporting a "creepy" new look. A recent Instagram post shared by world-famous rapper Eminem showed the 44-year-old sporting a completely different look as he posed with longtime mentor, Dr Dre and fellow rapper Kendrick Lamar. Gone was his clean-shaven look and peroxide hair, replaced by dark locks and a beard! The Lose Yourself singer debuted his look at the premiere of The Defiant Ones, the docu-series about the partnership between Dre and legendary record and film producer, Jimmy Iovine. Of course the internet immediately erupted with memes and comments from fans, with one writing it looked "creepy" while another wrote, "Eminem got a beard, next album about to be crazy." The star, whose last album, The Marshall Mathers LP 2, came out in 2103, is rumoured to be releasing new material later this year, but as one person on Twitter noted, only the beard knows for sure.